First of all, take a deep breath. It will all be alright. This past week right before CASPA reopened for the 2017 cycle, there was a lot of buzz around some recent changes to the recommendations on how to classify experience on applications, and whether it should be categorized as healthcare experience (HCE) or patient care experience (PCE). 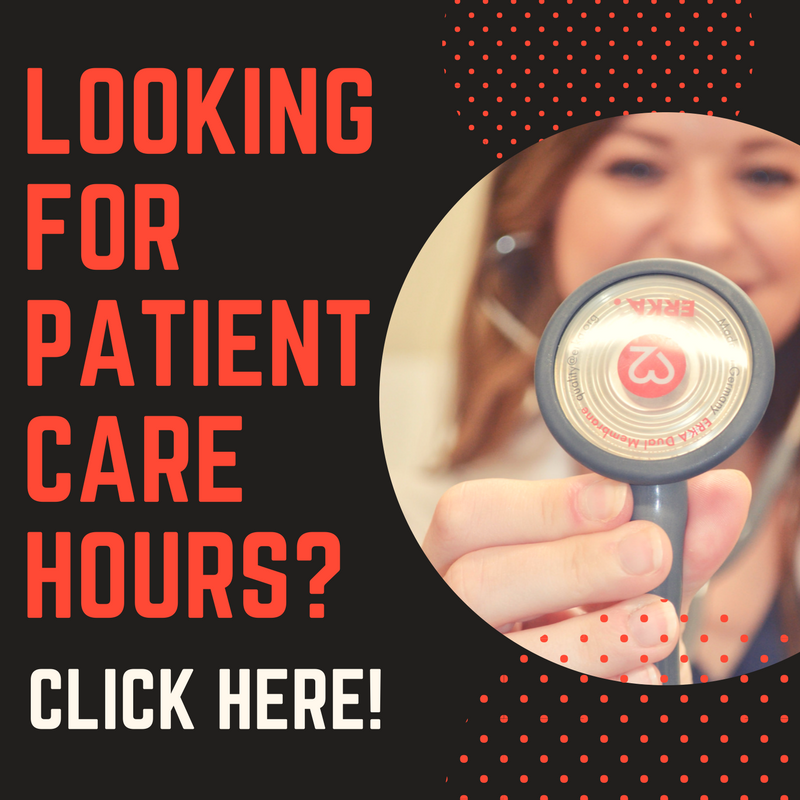 In the past, HCE was defined as working in a medical setting, but without directly interacting with patients in a way that involved their care (receptionist, billing, transport, etc.). PCE was defined as any job in which there is direct patient interaction and care, such as nursing, EMT, paramedic, CNA, MA, etc. These were more of roles where you were performing skills and had more responsibility. Scribe has always fallen somewhere in between. Moving on to the new definitions. Here is a screenshot from the site, but you can see more here. This made a lot of people angry. CASPA basically changed it so that CNA and MA are categorized as HCE instead of PCE, according to their guidelines. 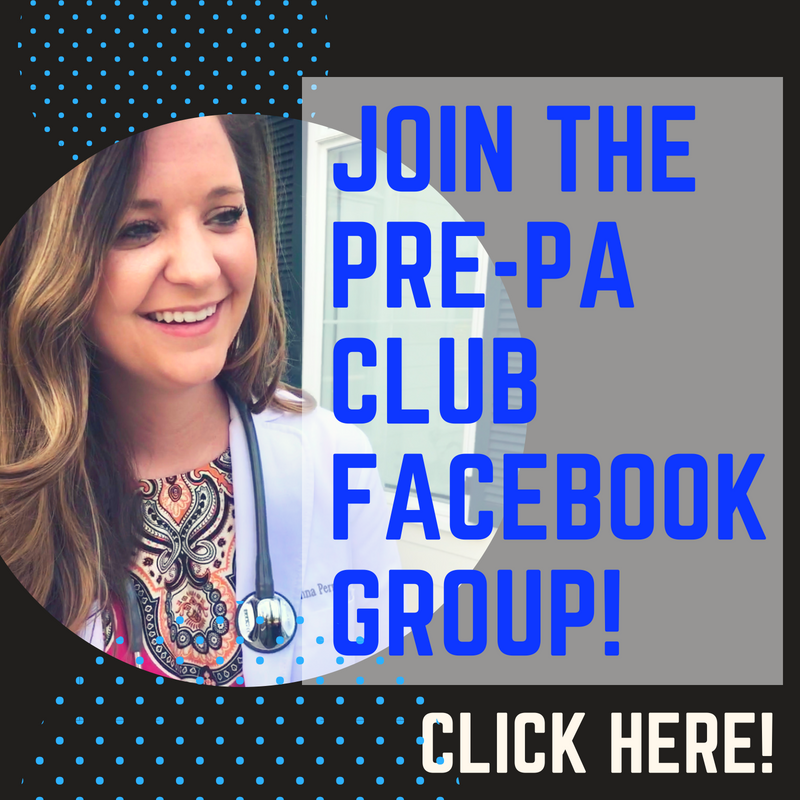 The idea is proposed that a role is only PCE if you are more responsible for a patient's care and contributing to decisions about a patient's care. CASPA also stated that these changes were made based on feedback from PA programs. Obviously, this has many people who have worked hard for their hours feeling like they've wasted their time. I get it. I worked as a CNA, and it's no joke. I work with MAs all day long, and there is no denying that they are very involved in patient care. But this may not be the case for all positions deemed CNA or MA, and I think that has been part of the problem. If you work as an MA, but you're usually in the front office answering phones or working on prior authorizations and paperwork, that is more accurately HCE. If you're taking vitals, performing venipuncture, and counseling patients, that's more PCE. "Please review the definitions below, consider the duties which you performed during your experience, and use your best judgment to determine which category your experience falls into." "CASPA advises applicants who have prerequisite requirements to confer with their individual programs if they are unsure how these programs will consider their experience." "If you have any questions in regards to your experiences fulfilling an individual school’s requirements, you should inquire with that school directly." Ultimately, you can decide where you feel like the experience should. If it were me, I would list the experience where it was recommended based on CASPA's preferences. But I would be very thorough in describing what my experience entailed and what my responsibilities included. Make it clear to the programs how involved you are in patient care, but as always, be honest. If you're unsure about how a program will categorize your experience, the first step is to check the website and see if it's listed. If you are unable to find an answer, consider contacting your top few programs to clarify. Just keep in mind that they are probably getting a lot of these calls right now, so be patient. I hope this gives you some clarity, and if you have any questions, I'll do my best to answer or find an answer. CASPA is complicated (and confusing) at times, and I do my best to keep up, but I am not the final say! It's also convenient that I planned for the May webinar to cover HCE and PCE (before CASPA even changed anything!). Make sure to mark May 24th at 8 PM on your calendar so you don't miss out. Comment below with your questions! There's no way to get around the fact that your GPA is extremely important for gaining acceptance to PA school. When it comes to calculating your overall or science GPA, it is much more involved than taking a simple average of all of your grades. In this post, I'm going to explain how your GPA is calculated for CASPA since that is what the schools will be looking at. Nothing stinks more than to do the wrong calculations, think you have a 3.2, and then CASPA calculates at a 2.9. That completely alters the plan of where you'll be able to apply! The reason CASPA does these extensive calculations is to standardize GPAs across all colleges and universities is so PA programs can compare students as fairly as possible. CASPA takes into account how many hours each course was, as well as the grade. This is called "Quality Points." These points are calculated by multiplying the amount of credit hours by the grade you received. For example, if you took a 4 hr course, and made a B, this would count as 12 quality points (4 x 3.0 = 12). To calculate your overall GPA, you divide the total amount of quality points by the total amount of credits. If you have 50 quality points, and 20 credits, that would result in a 2.5 GPA. All calculations are done based on the semester system. If you have quarter hours these will convert at 1 quarter hour = 0.667 semester hours. There are multiple categories that are calculated separately. Each year is separated (freshman, sophomore, junior, senior, post-baccalaureate, and graduate) and then there is science and non-science. The subjects in the science GPA include Biology/Zoology, Inorganic Chemistry, Biochemistry, Organic Chemistry, Physics, and Other Sciences. You will choose what category courses fit into when you enter your courses, but these may be changed during the verification process if it appears that a course was entered incorrectly. Send your credentials and we’ll evaluate your strength as a candidate and help you come up with a strategy to become an even more competitive applicant. Great for high school students, undergraduate students, any first-time applicant or reapplicants! Once information is received, turnaround time is 7 business days for the pre-PA assessment. CASPA includes all grades in it's calculations, including courses that have been repeated. When some undergraduate programs calculate GPAs on transcripts, they will sometimes only include the grade from after the course has been repeated, which will result in an inaccurate number. Withdrawals are not included in the CASPA calculations unless they are "WF," which will count as an F. Pass/fail and AP credits are counted similarly to the W, and just as credits without associated grades. On the website with information pertaining to GPAs, CASPA has some great charts pertaining to how they count different letter grades and how grades are converted in both the US and Canada. PA programs use these calculated GPAs differently. Some will take exactly what is calculated by CASPA with no modifications. Other programs will recalculate the GPA based on the highest grade after retaking courses or based solely on the last 45 or 60 hours of coursework. They may still look at the overall CASPA numbers, but they will place different weight on these calculations if they do their own. If you want to try your hand at calculating your own GPA, this link to this GPA calculator is the best I've found, and calculates the same way CASPA does. For any questions I haven't answered, check out the CASPA FAQ page on GPAs. The word "CASPA" gets thrown around a lot when the topic of applying to PA school comes up, so today we'll look at what it is exactly, and what that application entails. CASPA stands for the Central Application Service for Physician Assistants. So basically, it is an online application service that schools use to have students complete their applications. The majority of programs use CASPA, but here is a list of who is currently participating. It also shows all of the deadlines for particular programs. In addition to the CASPA application, some programs will require a supplemental application as well, so it's important to check with the programs you're applying to. The supplemental application is sometimes required with the CASPA application, or it can be done after submitting CASPA. Occasionally, you will not have to do a supplemental until you are given an interview. The application opens during April, and stays open until the following March, but each program has a different deadline for submission that you need to pay attention to. CASPA is solely a place to input information, so it does not provide the various requirements for each program, like prerequisites or healthcare experience requirements. These are things you'll have to look at yourself for each program because you don't want to waste your money applying somewhere that you don't have the qualifications. Most programs use "rolling admissions," which means that as soon as your application is complete it will be reviewed by the program, which means the sooner you get your application in the better! It can take a few weeks for "processing," so don't wait until the last minute and communicate with your references the importance of getting their part in as soon as possible. References - Programs have different requirements as far as the number of references and who they need to be from. The choices typically include a supervisor from a healthcare setting, a PA you have shadowed, or a professor. Sometimes they don't really care, but make sure to check each separate program to see if they are particular about this. The references are done electronically, so you will need the e-mail address of your reference. It's a good idea to let them know to expect the e-mail so they can check their junk mail and it won't get lost in their inbox. You are able to have 3-5 references. Transcripts - You will need to have a transcript sent from anywhere that you have done undergraduate coursework. It's also helpful to have a copy of these for yourself to fill in that information on CASPA. If you are still working on prerequisites, you will have to send another copy when you have completed them to the actual program. Personal Statement- 5,000 character limit (about 650 words). This is your chance to tell the programs about yourself, so they can find out if they want to know more about you or put a face to those words. It needs to tell a story and paint a good picture of who you are and why you want to be a PA. If you need help with writing your personal statement or editing, please let me know! 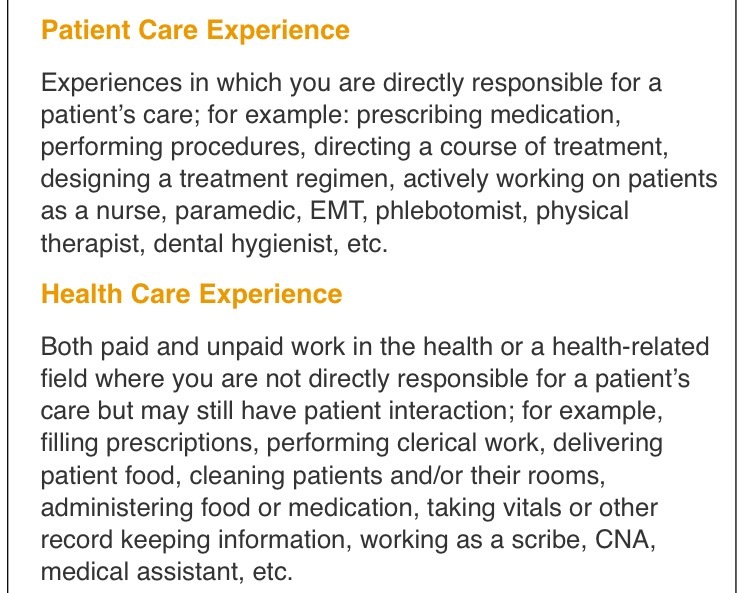 Experience - And the categories are Patient Care Experience, Health Care Experience, Shadowing, Employment, Research, Volunteer. This is why it's a good idea to keep very detailed records of where and when you did any of these, along with how many hours and any supervisors you may have had, as well as a description of what you actually did. Although it was not working for the current 2015-2016 cycle, for the next cycle, if you were to have to reapply, CASPA will save all of your information so it will be a lot easier. But we'll just stay positive about not having to reapply! The fee for CASPA is $175 for the first program you apply to, and then $50 for each additional program during that cycle. That can add up quickly, so make sure you have the qualifications for a program before you apply. (**My only caveat for that is if there is a program you are extremely interested in, but don't quite have the requirements yet, it may be worth it to apply and then when you reapply the next year, you'll be a much more competitive candidate and a reapplicant. Just my personal opinion though.) There are some fee waivers available that are based on income, but they typically run out quickly. This gives you a $175 credit for the first application. If you are given a waiver, your application must be completed within 14 days of receiving it. There's an extremely thorough site that goes through basically everything you need to know to set up a CASPA account and then all of the information you will need to fill out your application, so I would definitely recommend checking this site out at some point. The earlier the better, because then you'll know a little better what to expect. A blog post with some tips on completing CASPA. There's even a Twitter account and Facebook page you can follow if you want updates on CASPA. I would love to hear about your experiences with CASPA and any tips you have for making it a smooth process!